Featuring high-resolution optics and encased in compact, eye-catching bodies with JIS Class 6 waterproof capability, the 8x25 UCF WP and 10x25 UCF WP binoculars are the ideal choice for both casual and specialized applications on and around the water. The new UCF WP-series models feature JIS Class 6 waterproof construction and full-body rubber housing for protection against water and shock. 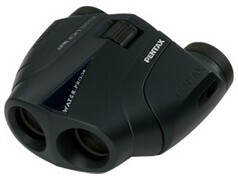 The PENTAX-developed dual-axis eye-distance adjustment system assures precise alignment of the lens barrels during viewing. 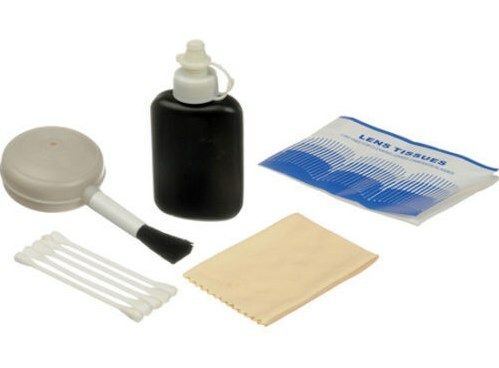 Coupled with a compact, lightweight body design and a long 15-millimeter eye relief, they allow for fatigue-free viewing even during extended observations. Thanks to a combination of an inner-focus system, high-refraction BaK4 glass prisms, multi-coated optical elements, and aspherical eyepiece lens elements, they deliver outstanding image quality even under poor viewing conditions. Other user-friendly features include a short minimum focusing distance of 1.9 meters/6.2 feet, helicoid-type extendible eyepiece rings, a fully retractable pop-up diopter adjuster, a quick-mount/removal strap, and a tripod socket. Real field of view: 6.2? 5.0? Apparent field of view: 50? 50? Field of view at 1000 yard: 324 ft. 261 ft.